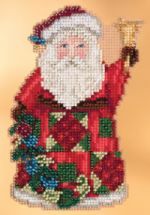 Christmas Cheer Santa an ornament kit from Jim Shore is stitched on Antique Brown Perforated Paper with a stitch size of 2.57" x 5". 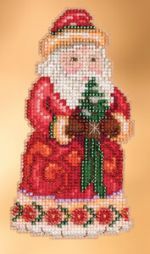 DMC, Mill Hill Beads and a Christmas Tree button are all included in this kit. 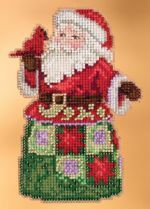 Cozy Christmas Santa an ornament kit from Jim Shore is stitched on Antique Brown Perforated Paper with a stitch size of 3.25" x 5". 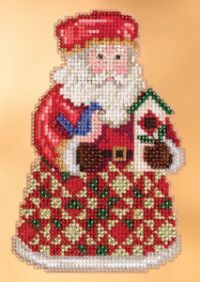 DMC, Mill Hill Beads and a Bird House button are all included in this kit.